Though many travelers head to the Golden State for wine country or national parks, many simply want to spend their vacation relaxing on the beach. 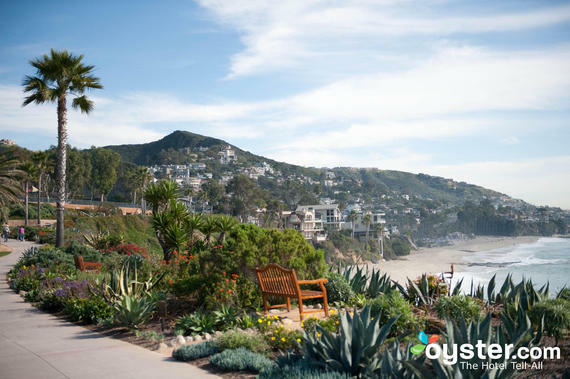 With 840 miles of coastline, down from San Diego up to San Francisco and beyond, there's ample beachside cities to suit your style. West Coast, best coast? Though many travelers head to the Golden State for wine country or national parks, many simply want to spend their vacation relaxing on the beach. 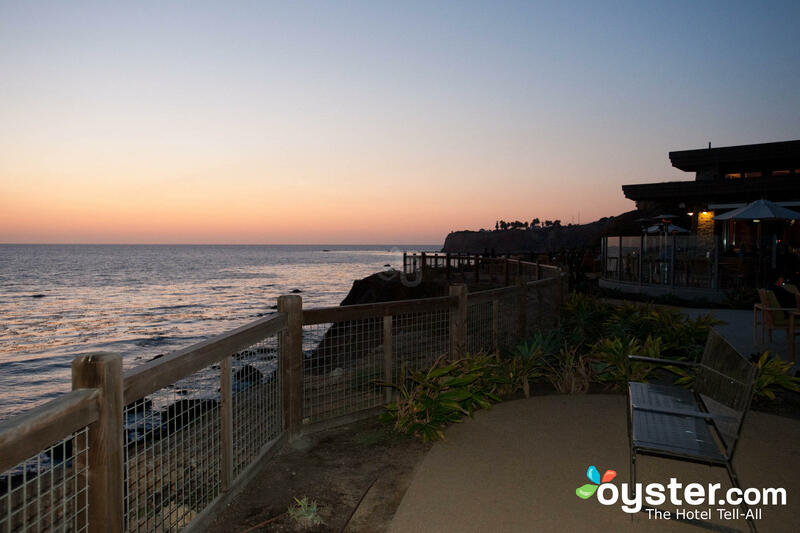 With 840 miles of coastline, down from San Diego up to San Francisco and beyond, there's ample beachside cities to suit your style. We've visited hundreds of hotels in California to see how they stack up against the competition and the results are in. Take a look at our picks for best oceanfront hotels in California and get inspired! 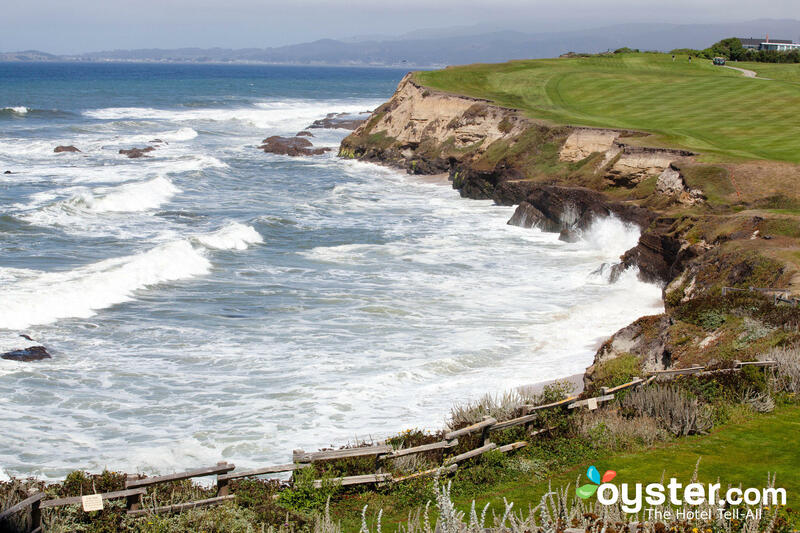 Post Ranch Inn is not only the most beautiful coastal hotel in California, it's one of the most special properties in the world. The 39-room property offers a romantic, intimate stay amid gorgeous natural surroundings. The hotel is built into the cliffs of Big Sur, and the organic architecture is breathtaking, seeming to grow out of the ground beside the hotel's surrounding redwoods. The spacious, eco-sensitive rooms have ocean or mountain views (that are sometimes obstructed by the pervasive fog that the area is known for) and many feature floor-to-ceiling windows to better show them off. Rooms also have wood-burning fireplaces, radiant floor heating, outdoor showers or hot tubs, private decks, and organic bath products and linens -- but no televisions or alarm clocks as the hotel strives for a peaceful environment. 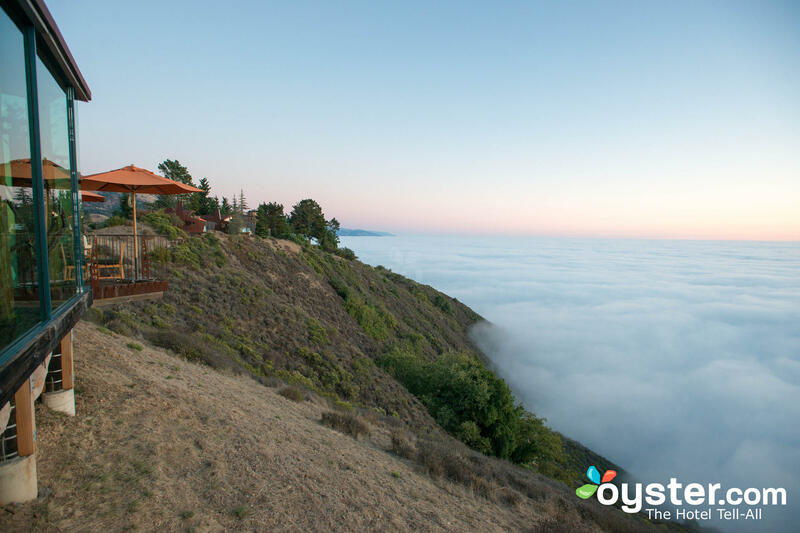 The award-winning spa focuses on rejuvenating services and even has a shaman on-site; the restaurant, Sierra Mar, is one of the best in Big Sur; the hotel's cliff-top pools are stunning; and free amenities (such as yoga and stargazing) are abundant. 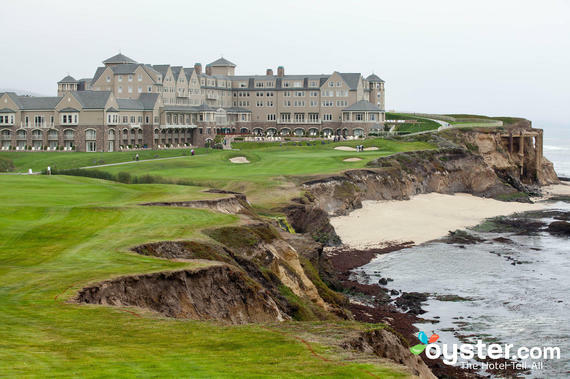 The romantic 261-room Ritz-Carlton Half Moon Bay serves the Ritz-Carlton name well, offering stunning rooms, a large spa, and beautiful bay views -- though the fog sometimes makes it difficult to get a good glimpse. Perched on a cliff overlooking the Pacific, the hotel has excellent outdoor facilities including fire pits facing the ocean and a manicured 18-hole golf course. Rooms are spacious, elegant, yet simple, with beautiful marble bathrooms and quaint shutters covering windows. 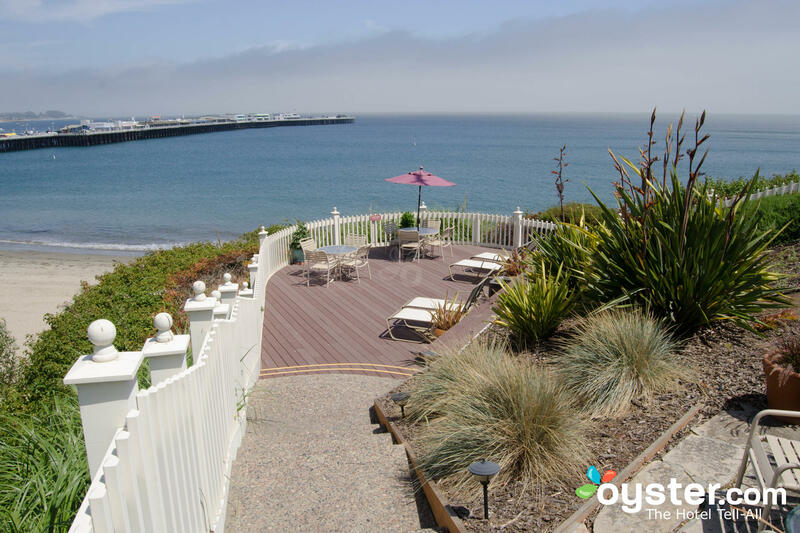 The intimate Sea Rock Inn is an upscale bed & breakfast with resort touches, offering suites and cottages with panoramic ocean views and wood-burning fireplaces. 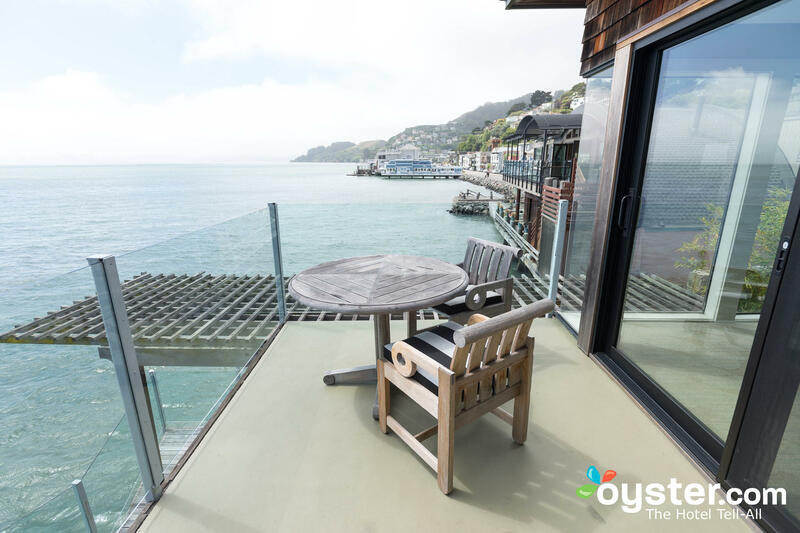 Binoculars are provided for whale-watching from private decks or the large lawn, which slopes gently toward the edge of the rocky Pacific cliffs. The inn is not fancy, but is charming, with knotty pine furniture, ebullient flowerbeds, and whimsical paintings and sculptures. Cabin-like guest rooms have plush beds from which guests can see the ocean. 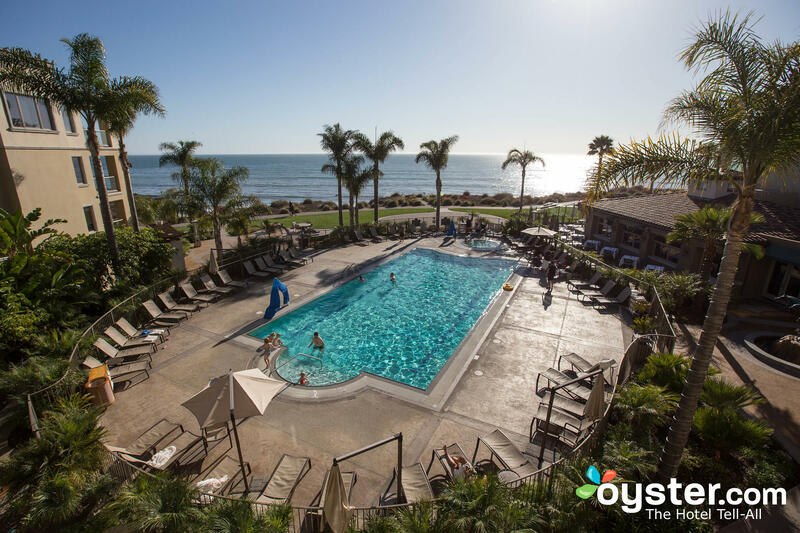 This upscale resort is easily the top option in Pismo Beach, with an oceanfront location, a farm-to-table restaurant, and a lovely full-service spa. The property was formerly a condo building, and all the rooms are big, sophisticated suites with full kitchens. It's hard to find fault, and most guests find little to complain about. But it is worth noting that there is no direct beach access (there's a staircase just north of the property) and that there is a nightly resort fee (though it covers a lot, including bike rentals and beach chairs). One of just a few true mega-resorts in Southern California, the 100-acre, 582-room Terranea in Rancho Palos Verdes offers a range of features that's unrivaled among Los-Angeles-area properties, including a top-tier spa, nine holes of golf, six restaurants, three pools, and gorgeous, manicured grounds. 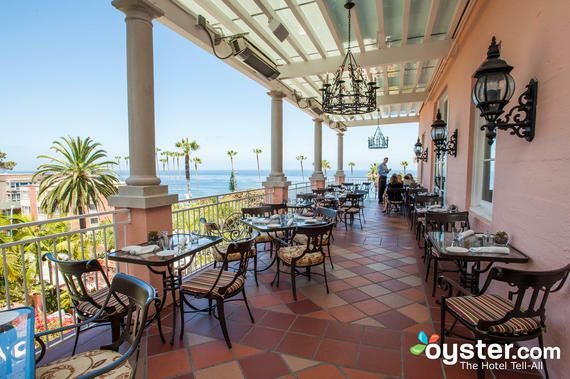 The historic, upscale La Valencia Hotel has held its prime location on the Pacific Ocean in the heart of sunny La Jolla since it was constructed in 1926. The Pink Lady, as it's affectionally called -- a nod to the Pepto pink exterior -- was renovated in 2014, bringing it squarely into this century with an updated Spanish style. Two on-site restaurants, a lively bar, and Spanish-inspired saltwater swimming pool facing the ocean are just part of this unique property's charm. Expect to pay extra for Wi-Fi and breakfast. Villas and rooms facing the pool aren't very private but include great details like dual shower heads and (some) outdoor fireplaces. Beach Village at The Del is the more luxurious section if the iconic Hotel del Coronado, offering big upscale cottages right on the sand. 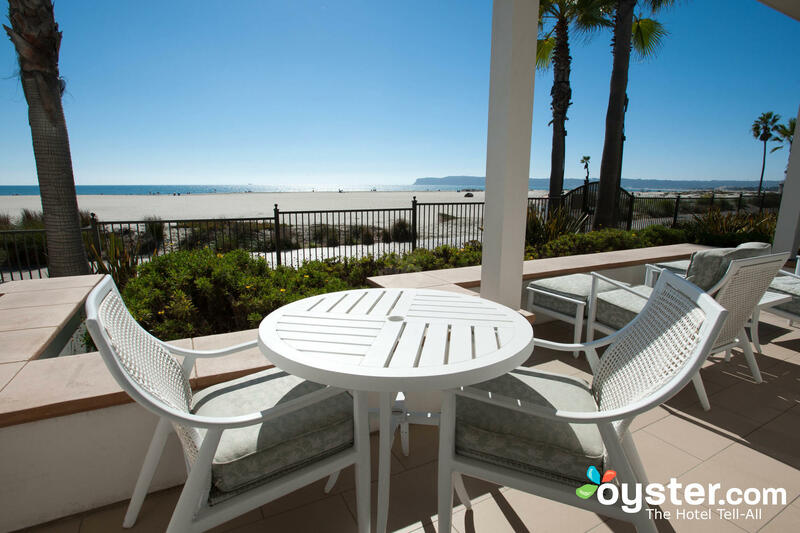 Beach Village guests get exclusive extras that Hotel del Coronado guests do not: private pools, use of the Windsor Club Cottage, a free breakfast buffet, and better in-room amenities, such as iPod docks, fireplaces, kitchenettes, and terraces. The beachfront location is impossible to beat, and Beach Village guests get free beach towels, chairs, and umbrellas. 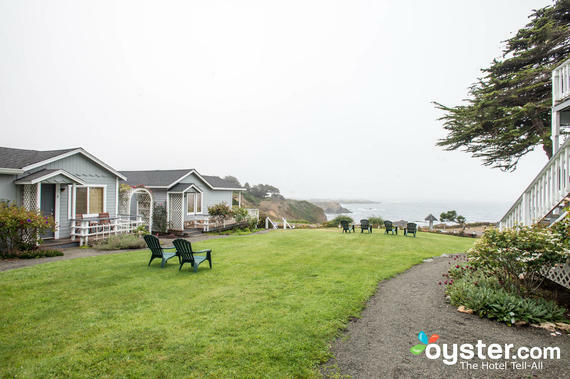 The 83-room, upscale Bodega Bay Lodge is located on seven gorgeous ocean view acres, one hour north of the Golden Gate Bridge. 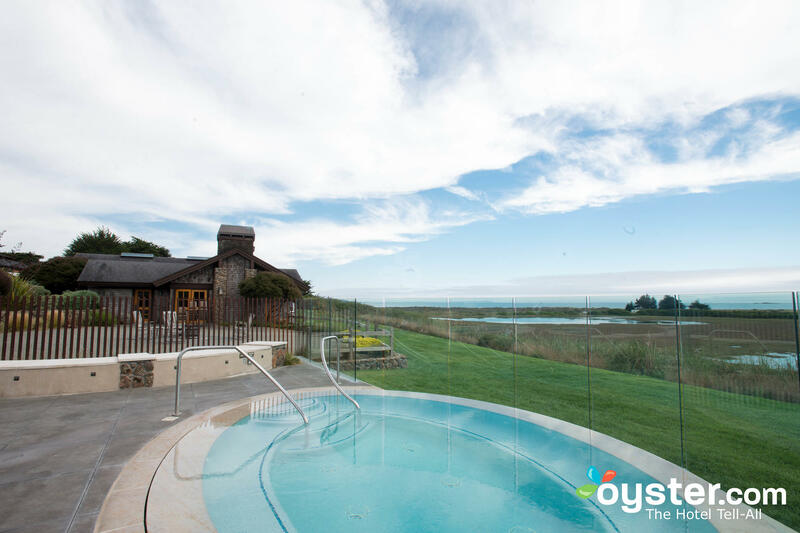 The property is an integral part of the Sonoma landscape, with lush lawns, rustic stone walls, and fire pits dotting the grounds. Wine tastings, good coffee, and hearty artisanal food add to the luxe vibe, and spacious guest rooms with hardwood floors, comfortable seating areas, and balconies with phenomenal views combine to make the Lodge a destination in itself. The 22 rooms at this cliff-side motel are homey, spacious, and all have beautiful views of the Pacific. The inn is conveniently located near the boardwalk and downtown Santa Cruz, and offers a continental breakfast every morning as well as free wine and cheese in the afternoon. An outdoor patio and terrace allow for proper relaxation in the California sun. A known celebrity hangout, Shutters on the Beach has an atmosphere of formal opulence, with expensive artwork in its lobby and restaurants, luxe features, and rooms that belong in a billionaire's beach house. Its oceanfront location and doting service are hard to beat, but Casa Del Mar rivals it with a more intimate feel and better amenities. 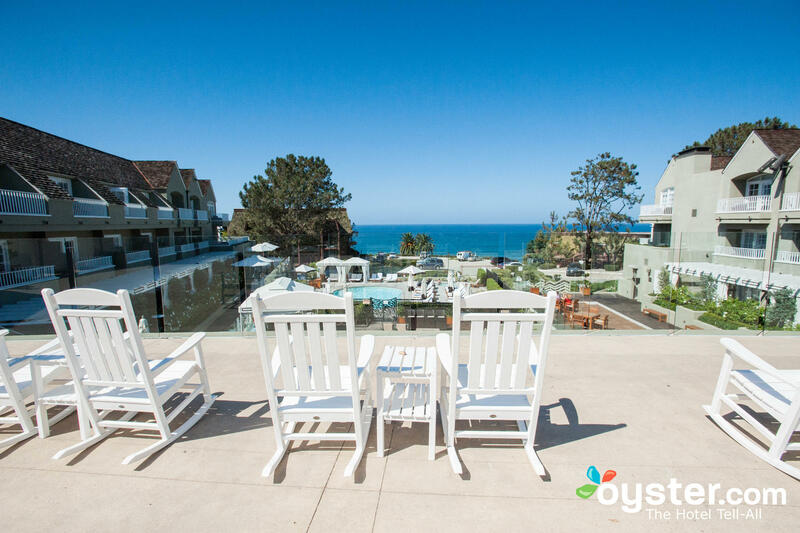 The 120-room L'Auberge Del Mar is one of the top hotels on the Southern California coastline. 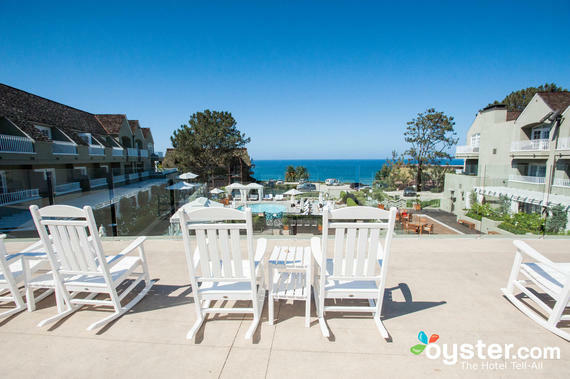 It's located in beautiful Del Mar Village, right next to the beach, and its farm-to-table restaurant is exceptional. But although rooms are homey and have high-tech amenities, some of the views could be better, and few have tubs.